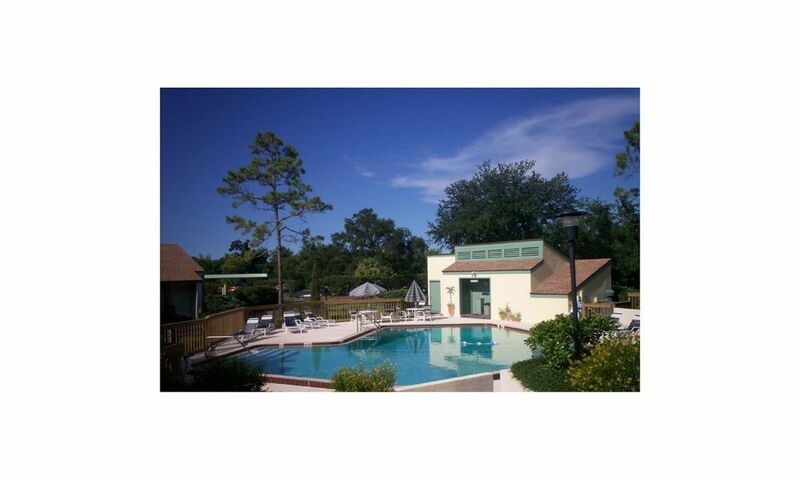 Golf Course Condo With Pool Only 10 Minutes From The Beach! Sugar Mill Townhome located in lovely Pine Valley. Private, quiet and close to everything. Ceramic tile floors ad Berber carpets throughout. Updated kitchen includes everything you need for your stay. Cable, local phone privileges, and internet service included. Enjoy the community pool located 20 yards from your door or sit on the back porch and watch the golfers! Golf, recreation, and fitness center packages available. Two downtowns with one offering old main street shopping, services, and charm and the other is a beach art and entertainment area. Monthly art festival and other events are a must do! Sugar Mill Country Club: If you are a golfer, tennis player, enjoy great dining and are accustomed to the lifestyle that belonging to a first-class private Country Club offers, we invite you to experience Sugar Mill Country Club of New Smyrna Beach, Florida. At Sugar Mill you'll play on three nines winding through pines, palms and ponds, giving you a choice of three different nine-hole layouts. Sugar Mill members are proud of the club's 27-hole Championship course, first-class tennis facility, exceptionally fine dining and secluded locations accessible to all of central Florida. Located on the Atlantic Ocean just south of Daytona Beach, New Smyrna Beach is the Second Oldest city in Florida. The richness of history can be savored from the Turnbull and Sugar Mill Ruins to the Eldora State House and the Ponce Inlet lighthouse. New Smyrna has earned the title of 'The World's Safest Bathing Beach'. Unit is owned by a Florida resident that travels for work extensively and is very flexible with availability. However, minimum 7 day rental required. Housekeeping includes a general cleaning of the unit after renter leaves. Additional time for laundry, carpet cleaning appliance cleaning, or cleaning that is above normal use will incur additional charges. All bookings conditional upon the submitting of a rental application and a signed rental agreement being returned to the owner. Please review both before sending a booking request. Please take note of the cancellation terms in the rental agreement. Carpeting stained. Dining furniture upholstery all stained. MBR shower floor had been painted but with use bubbled and peeled. Shower door tracks were black from not being cleaned. In my opinion Place needs a THOROUGH CLEANING. Would not rent here again. I am sorry that you were unhappy with the cleanliness of the home. The home was cleaned before your arrival and I am sorry that the cleaning people may have missed a couple of things. Of course, you are not responsible for any of the issues you mentioned and you should have received your security deposit back in full. If not, please let me know and I will contact HomeAway on your behalf. I do understand the issue with the bathroom floor and that is being addressed. It 's unfortunate that the issue was not visible when we did our walk-through at check-in. Thank you for bringing it to my attention. The discoloring of the shower door tracks is mostly due to oxidation and moisture. I will look into seeing if there is any way to remove the discoloring without having to replace the doors. That may be my only alternative. Carpets have been cleaned. The dining room chairs are of a beige/white color that may appear as stains. But I will take a closer look at them and either clean or replace before the next guests. Again thank your for your comments. After renting the home a few times a year over the last 12 years I sometimes miss somethings. lovely, older community - perfect for us! townhouse is well maintained, in a beautiful setting. just what we needed to get away from the winter weather. Hope to go back next year! Master bed not very comfortable, a little too soft for our taste but the rest made up for it. Very friendly and welcoming neighbors. From the world renowned Atlantic Center for the Arts, to its historic roots, to unusual shopping experiences, New Smyrna Beach is enriched with many cultural activities. New Smyrna Beach's small size belies its great artistic spirit. Many art festivals are held throughout the year and visitors find unique pieces at the area's galleries. Music lovers delight in New Smyrna's concerts and festivals. The Atlantic Center for the Arts draws aspiring artists in and events are held frequently. Shop along historic Flagler Avenue on the beach or stroll along historic Canal Street with its many shops. Just a short drive from Orlando, New Smyrna's location is close to all of the popular theme park action. But with the laid-back attitude of a small coastal community, New Smyrna Beach is a world away from big-city congestion. Anglers and history buffs will enjoy a short trip to DeLand and its surrounding areas. * All stays are confirmed and booked only after the review of a rental application signed. A signed rental agreement will be required prior to check-in. *Housekeeping includes a general cleaning of the unit. Additional time for laundry, carpet cleaning, appliance cleaning, or above normal use will incur additional charges. *Deposit required to reserve. (Held by HomeAway) *Rental due date depends on the length of stay. *Minimum stay is 28 days. *There is a no pet policy.